Net weight bedding per box approx. 3.3 lbs. / 1.5 kg. Remember -- if you're ordering more than one box, it's cheaper to order the 2-pack or 3-pack of bedding!!! Save money when you buy a 2-pack of bedding! 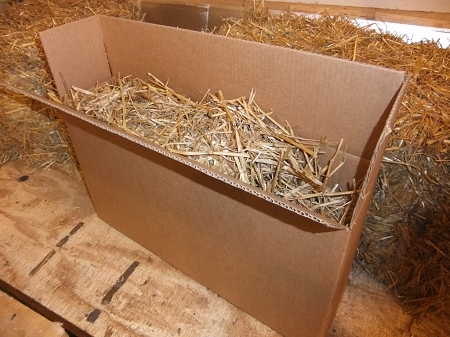 I have purchased my straw for our feral family from Feralvilla for the last 3 years, since we purchased our shelters. The family loves the winter shelter and we know they get great use of both the shelters and straw by the tracks in the snow. As we are getting ready for fall I decided to order early and have the bedding ready for October. My wife and I love what Feralvilla does and the quality of all their products.